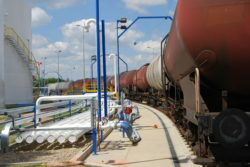 Fuel terminal in Poznań - KB Pomorze Sp. z o.o. : KB Pomorze Sp. z o.o. 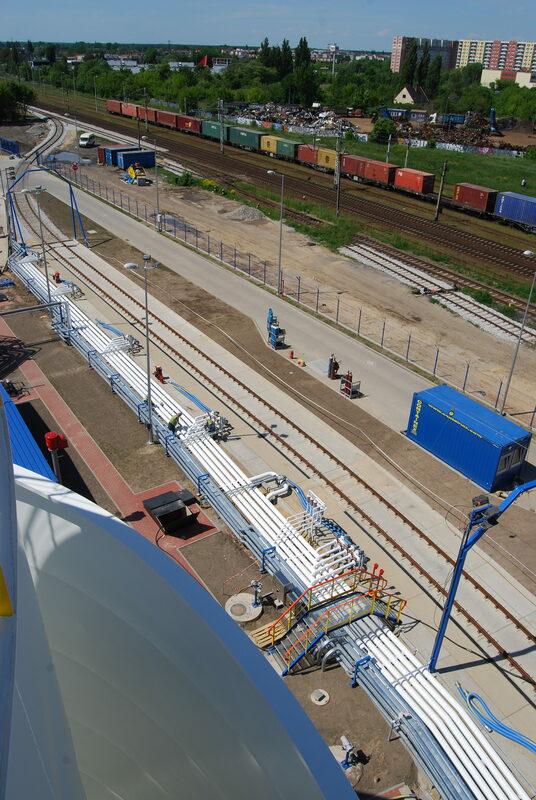 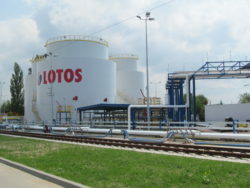 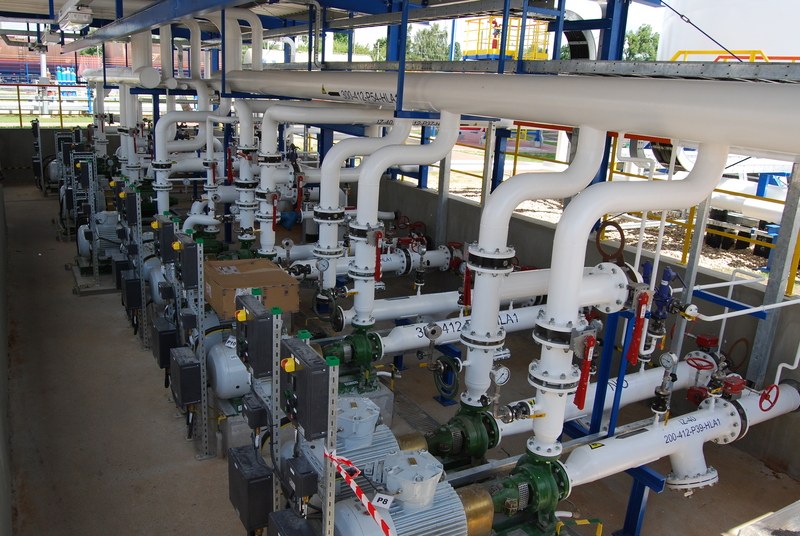 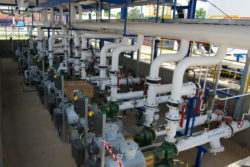 We have built for the LOTOS Group the new fuel terminal in Poznań, in turn-key formula. 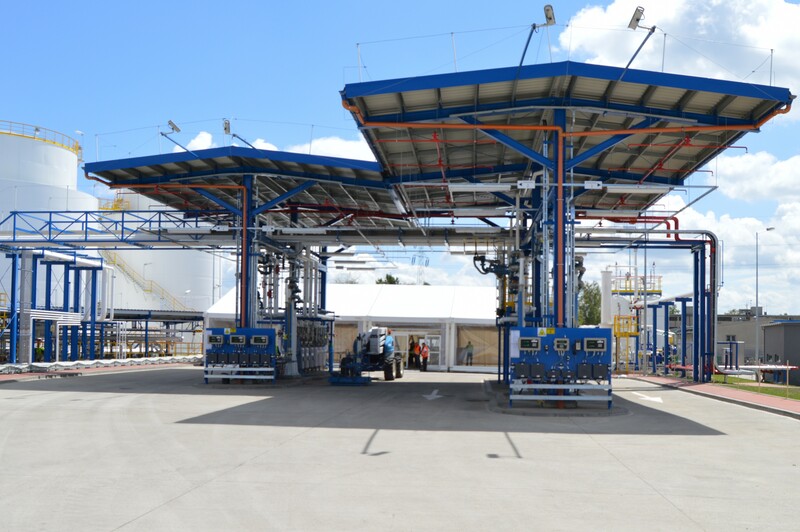 The terminal, with an area of 13 276m2, has a storage capacity of 10 170m3and transfer capacity 600 000m3 of fuels per year. 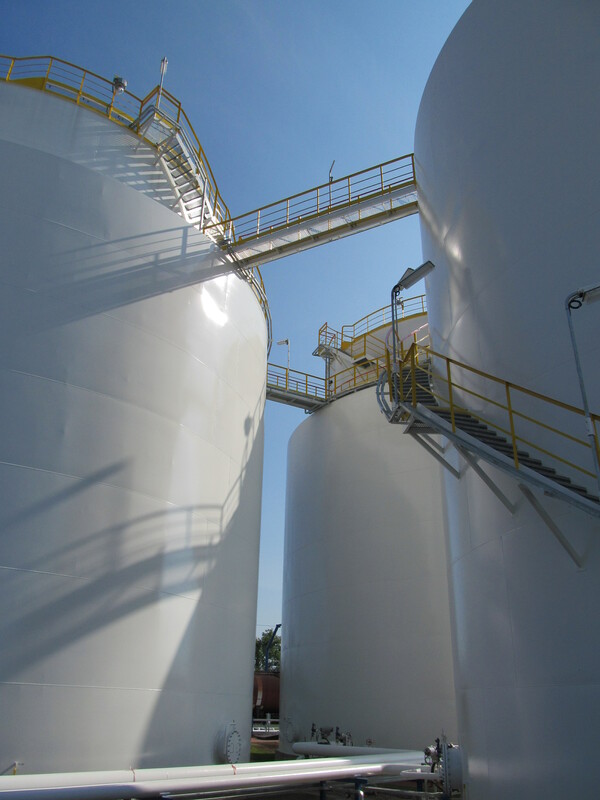 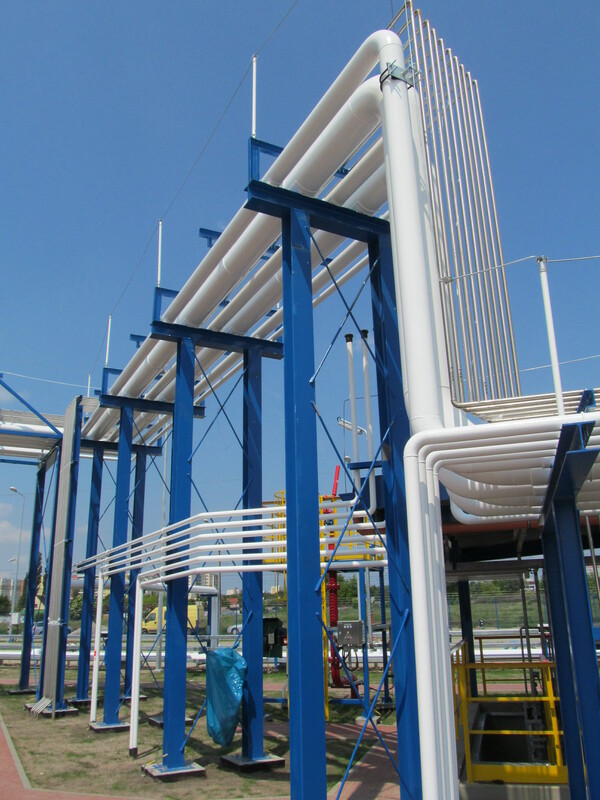 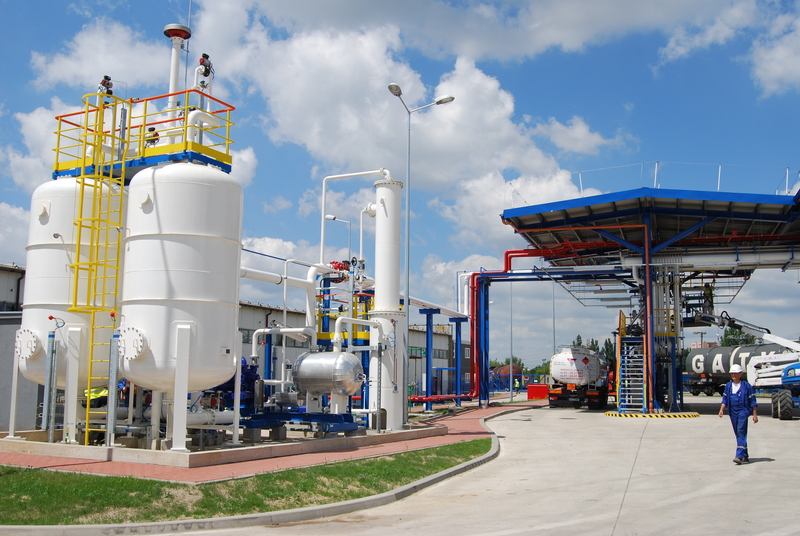 There are 3 ground tanks for diesel and 8 underground tanks for gasoline, light oil, additives for fuel blending. 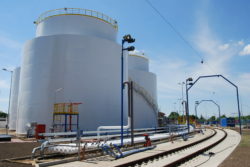 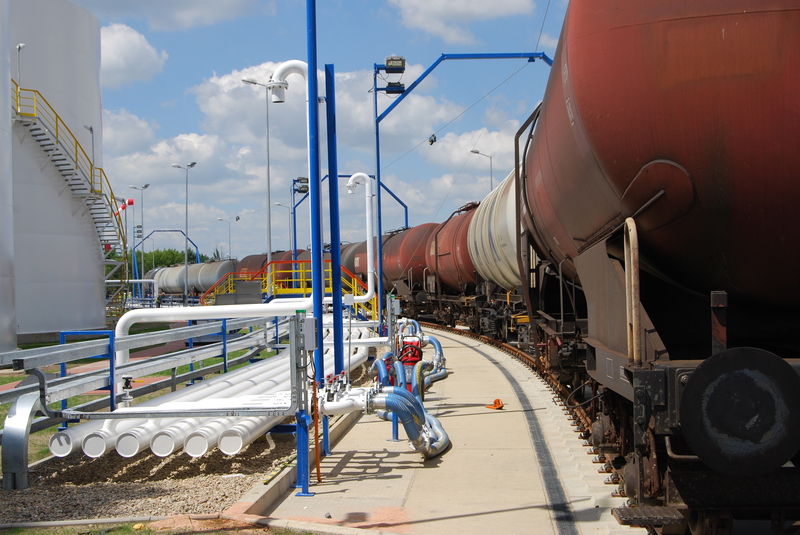 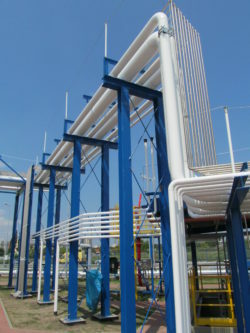 The terminal is equipped with rail unloading facilities that allows simultaneous unloading of 10 rail tankers, truck tankers loading station for simultaneous loading of 4 tankers with capacity 142m3 per hour, installation of metering fuel additives, gasoline vapor recovery unit, system of pipelines, administrative buildings and fire fighting system. 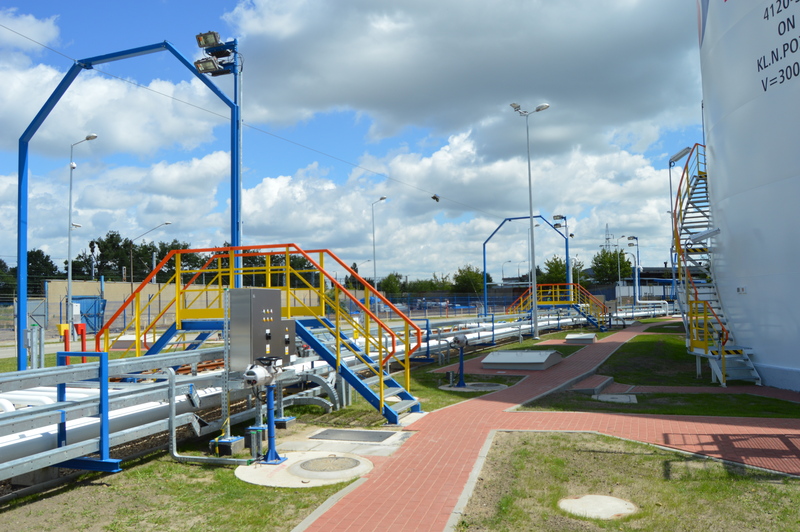 Automatic system for control, measurement, settlement and service meets the highest requirements under applicable law. 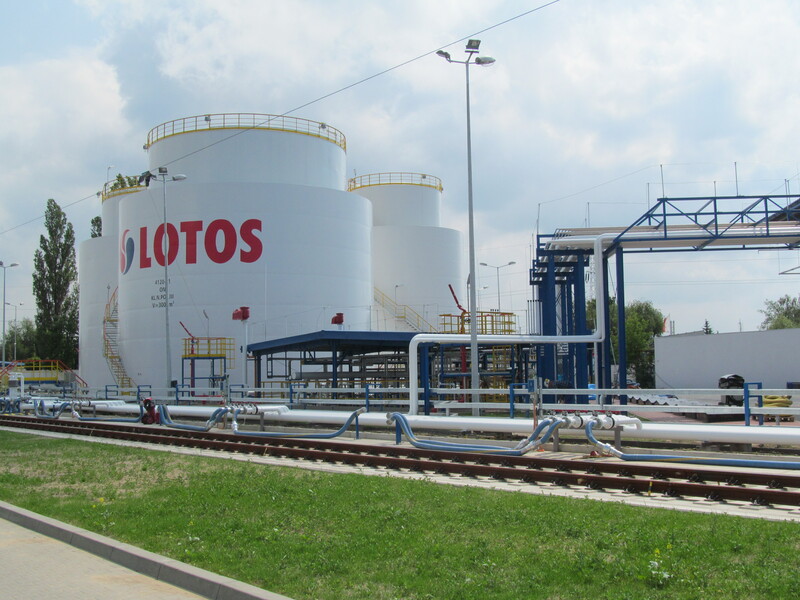 Location and applied technological solutions allow the LOTOS Group for more than fourfold increase in fuel distribution in the full range of products in the Wielkopolska region. 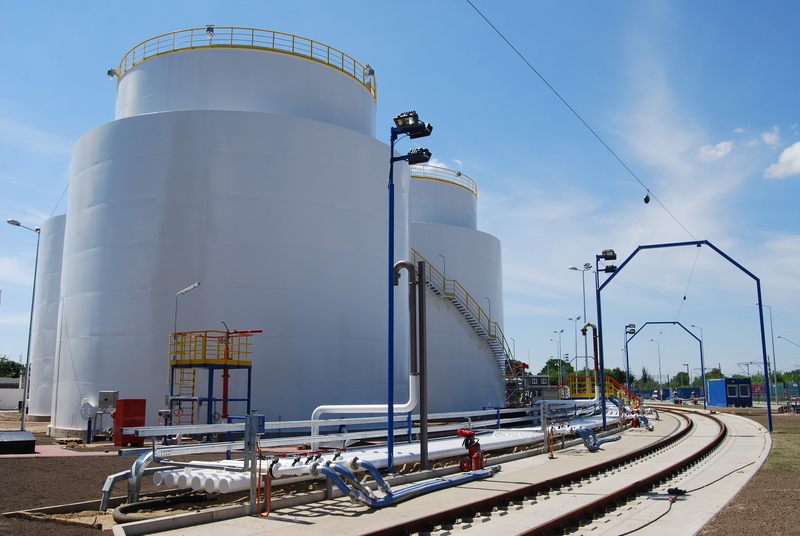 It is the most efficient fuel terminal in Europe in terms of transfer capacity in relation to the footprint area.